This Company Brands page lets you manage your individual company brands. Company Brands are useful in the event that you have more than one location and it manages a different fleet. Clicking on each of the brands will open up a new page where you can manage the settings for the particular brands. How to add a new company brand? Firstly, click the blue “Add Company Brand” located on the top right of the page, highlighted in orange in the picture below. Once you have clicked the button, a new page will appear. This add company brand page has 5 sections, Company Brand Overviews, Financial Specifications, Advanced Brand Settings, Text Settings, and Online Bookings. You can expand or hide and each section by clicking on their titles. This section lets you manage the generic brand as a whole. This section lets you manage the currencies and taxes that this brand will use. This section is also where you set up the supported payment gateways that you have integrated with the system. This section lets you manage some additional brand settings. This section lets you manage the text settings of the brand such as brand’s email signature and the text for the digital signature. On the right of the page, highlighted in orange in the picture below, there are variables that you can use for these texts. This section lets you manage the text settings that appears when a customer makes an online reservation through the website that you have integrated. 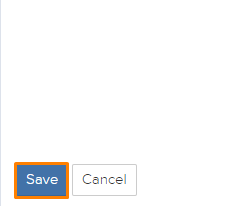 Once you are done making any changes, click the blue “Save” button located at the bottom of the page, highlighted in orange, in the picture below. Firstly, click on the brand you would like to delete. Next, click on the red “Delete” button located on the top right of the page, highlighted in orange in the picture below. When you click on an existing company brand, you will notice a section called links located on the right of the page, highlighted in orange in the picture below. These links are the reservation process iFrame links that you can add to your website. When you click on an existing brand, you will notice an extra tab “Payment Schedules” located on the top of the screen, highlighted in orange in the picture below. This tab lets you manage the scheduling of your payments for before and after pickup. Here is where you would set if you would want a down payment on your rental. To do so, you would put the percentage amount of the down payment that you required in the “Percentage on Schedule” field in the “Schedule Before Pickup” Section highlighted in orange in the picture below. Once you are done, click on the blue “Save” button to save the changes made to this page.